Time for a pop quiz. What do Apple, Google, and Amazon have in common (besides their remarkably reliable performance)? In a technology landscape that’s growing more complex by the day, all three companies have captivated consumers and investors by placing one priority above all others, and making their value proposition clear to users. Technology has introduced some pretty incredible changes to all our lives. We are capable of sharing and broadcasting freely to the world in real time, accessing any media when and wherever we want to, and answering questions that no longer have us wondering who that guy was in that movie about the whale. But life has certainly not gotten simpler. And nowhere is that more true than in the wonderful world of digital marketing. The advent of ad exchanges, hyper-local targeting, mobile SSPs, and DSPs have left many of us drowning in a deep sea of ad-tech acronyms. Terence Kawaja’s ad tech landscape tells the story best: One glance and you know that the time for simplification is nigh. Simplicity is what consumers want, what marketers need, and what standard-bearers such as Apple, Google, and Amazon have proven as a successful way forward. We need to learn from their example. When advertisers obsess over brand impact, and agencies insist on slicing and dicing every impression, I wonder if we’re focusing on the wrong things. Because the only metric that really matters to consumers is interest: Give them compelling ads and content, and they will actually want to engage with it. Ad technology and the plethora of platforms have enabled brands to respond to consumers’ needs in entirely new ways. In an era where people can swipe, expand, and share an ad or useful brand content, it’s not enough to rely on the same old brand advertising – it’s time for a real creative refresh. The beauty of our data-intensive, context-specific, hyper-relevant age, of course, is that brands now learn more about their customers and can use that to deliver more appropriate and more valuable (and valued) messages than ever before. We’ve seen how well consumers respond to brands that advertise in ways that give them new levels of choice and control. For brands, simple marketing is relevant marketing. Brands that can deliver this – keeping their marketing focused on the needs and context of the consumer – will be rewarded with unprecedented loyalty and engagement. When we overly focus on every impression, page load, and ad view – as we are now wont to do – everybody loses. Brands, who waste time overanalyzing useless data; consumers, whose privacy can be compromised by the oversharing of tracking info; and most of all, publishers, whose shares of the revenue pie continue to shrink. Giving brands a dynamic platform for viewable ad delivery, and keeping the needs of readers in mind, will keep publishers’ inventory squarely on the premium side of the market. 3) It’s better for consumers. Much better. Consumers want choice, control and relevance – in their content and in their advertising. If brands are going to deliver on this, they need to stop looking so hard for numbers to “justify” their online spend. “Just because you can measure something doesn’t mean you should,” industry luminary Peter Horan reminds us. He’s right: We’re overthinking the numbers and under-thinking the whole point of serving advertising that’s in the interest of consumers. Data is critical, numbers are important. But, neither are the whole ball game. Give people choice, control and relevance in their experience. Keep your marketing simple, and – trust me – consumers will engage. In a technology landscape that’s continues to morph and grow more complex by the day, remember to keep your value proposition clear to users. Focus on simple. Focus on consumers. Focus on creating usefuland compelling advertising that is in the interest of consumers. Whistles has launched a mobile optimised site as it ramps up efforts to offer its customers a multichannel shopping experience. The women’s fashion retailer launched a revamped version of its desktop site a few years ago which suffered from a plethora of usability issues. This is its first attempt at building a mobile site and the landing page initially looks very similar to the desktop site. The mobile space is one of the fastest-evolving in all of the technology world and because of that, it’s no surprise that many companies are struggling to keep up. From the smallest business struggling to figure out how to build a mobile-friendly website to the largest consumer internet brands struggling to build compelling mobile experiences, mobile offers just as many challenges as it does opportunities. The ICO’s cookie law has been, for many companies, a major headache. After being given an extra year to find compliance solutions — an acknowledgment that complying wouldn’t necessarily be painless — companies were finally forced to implement them. 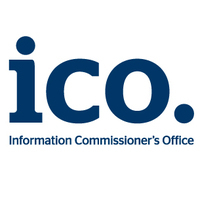 Those that don’t could find themselves facing steep fines, and in an effort to show that it’s serious about enforcement, the ICO earlier this year indicated that it would be contacting 50 high-traffic UK websites about their compliance.